A traditional addition for your horse or pony's diet which can help to improve your horse's coat condition and shine. A shiny coat is normally a good indication that your horse is in good health and nutritional supplementation can help to achieve this picture of health. It is a rich source of omega fatty acids and is also a useful weight gain aid as it is a high calorie supplement. 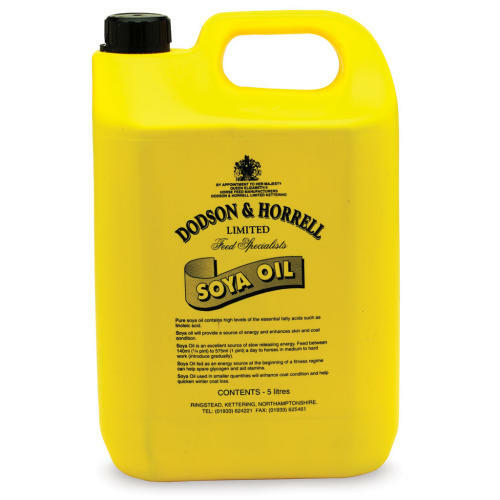 Soya oil is a source of slow release energy that can help to improve your horse or pony's stamina if used in conjunction with a correct exercise programme and can aid horses with skin irritations.